Thaicom Public Company Limited (Stock Exchange of Thailand: THCOM) and We Are IT Philippines Inc. (WIT) have signed a multi-year capacity wholesale agreement aimed at providing connectivity for the rollout of nationwide enterprise and government broadband projects. According to the terms of the agreement, WIT will use the entire IPSTAR capacity of spot and broadcast beams for the Philippines. The agreement will also see WIT provide broadband connectivity through the IPSTAR high-throughput satellite to serve market verticals in the Philippines, including broadcasting, telecom, mobile network operators, and maritime. Anant Kaewruamvongs, the CEO of Thaicom Public Company Limited, said that the Philippines is the perfect satellite market, due to the wide geographical and population distribution of the archipelago. The company is pleased that Thaicom is able to help the Philippines in its transformation for the digital era. IPSTAR’s high-throughput capacity is ideal to connect unserved and underserved areas in the Philippines, thus improving the lives of millions of Filipinos and accelerating the country’s economic growth. Artistic rendition of the IPSTAR satellite. Image is courtesy of Thaicom. Joseph Maddatu, CEO, We Are IT (WIT) Philippines, added that demand for affordable, fast and unlimited satellite broadband connectivity is expected to grow in the Philippines’ enterprise, government, education and consumer sectors. 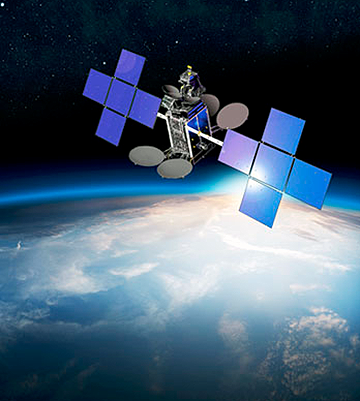 This partnership of more than 10 years with Thaicom continues to support the company's vision of cost effective satellite capacity for the country, enabling the firm to roll out the network infrastructure for the country’s 3rd mobile network operator, as well as government and enterprise broadband VSAT projects faster and more cost effectively as the result of the agreement with Thaicom. Furthermore, WIT can support the government’s free WiFi broadband initiative that brings high speed connectivity to the rural areas and more importantly, support mobile network operators with backhaul services in their effort to expand their coverage and increase data capacity to their cellular sites.